The owner of an electric car is asking drivers of gas-powered vehicles to avoid parking at charging stations on P.E.I. 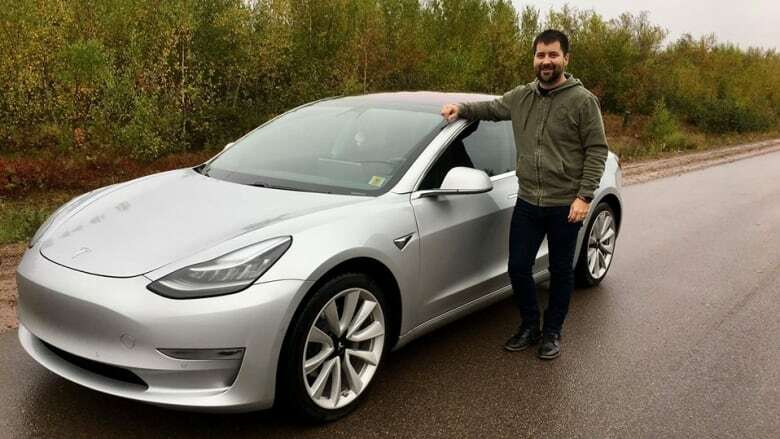 Brent Chaisson said he's been blocked at the stations several times since he bought his Tesla 3 electric vehicle (EV) in July. On Wednesday, when he pulled in for a charge at the Holland College station and found the charging station occupied by a gas-powered vehicle, he said his only option was to park in a fire lane, stretch the cord to reach his car, and stay only a few minutes. He left a note for the person parked in the charging station. 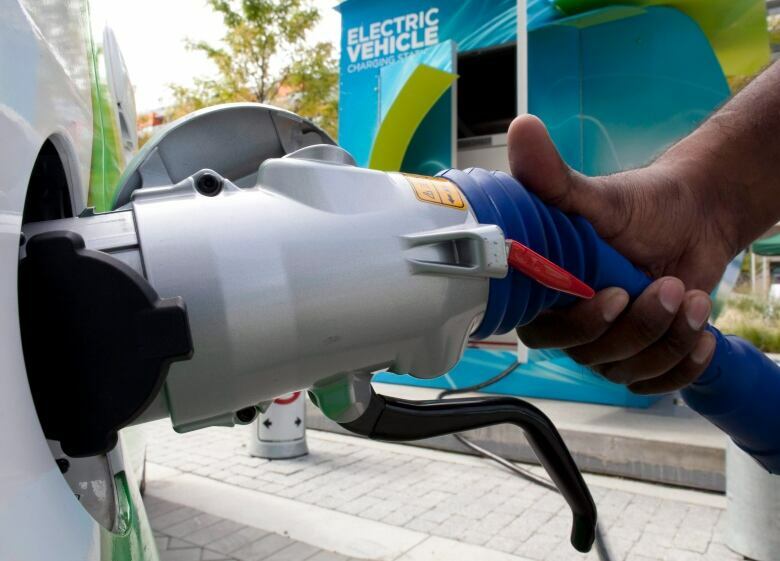 Electric cars in short supply on P.E.I. "It's a nice note that details, you know, I'm not sure if you're aware or not but you are parked in an EV charging spot and this is equivalent if I parked in a gas station pump and blocked you from getting gas," he said in an interview on Mainstreet P.E.I. Chaisson said P.E.I. has a good number of charging stations, but they are no higher than Level-2, which means his EV can get 40 to 65 kilometres of driving per hour of recharge time. Chaisson, who lives in Miscouche, said he does a lot of driving for his job and charges his car every chance he gets, even if it's just to get an extra 10 or 15 kilometres. He said some drivers may not realize they are parked in a charging station because they are not always well marked on P.E.I. — unlike some charging stations in Quebec, he said, which are marked with green paint. "When we pull into a space that might be at the front of a business, and we see something like a cord hanging on the wall, it's pretty safe to assume it's a charging station and maybe we should just kind of back out and just park somewhere else." Chaisson said he's not the only one concerned. He said he's hearing from people on an EV community Facebook page who are worried about coming to P.E.I. and not being able to charge their vehicles fast enough, or not being able to access them in the first place because they are blocked by a gas-powered vehicle. "We're going to start losing out on tourism if we don't start building more of this infrastructure," he said. "If they don't have a place to charge and charge fast, then they just won't come." In a video posted on his Facebook page, Chaisson said he's not upset about people parking in the charging stations, he just wants to raise awareness of the issue. And as for the car itself, he couldn't be happier. He estimates he's saved about $1,500 in gas since July. "It's a really fun car to drive," he said. "It's super quiet. I never had so much fun sitting at a red light."